Ready, set… go! Speedcubing is the fastest solving of the Rubik’s Cube that you’ll ever see! Speedcubers can solve the Rubik’s Cube in lightning speed. Did you know that the World Cube Association (WCA) Rubik’s Cube World Championships are held every two years with thousands of competitors travelling to race from all over the globe? 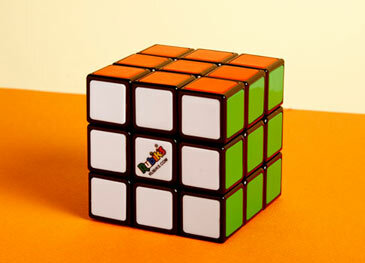 People across the world practice speedcubing with one goal in common – to set their ultimate speed Cube time. Why don’t you have a go! How quickly can you solve the Rubik’s Cube? (Find out how to solve the 3x3 Rubik's Cube here.) 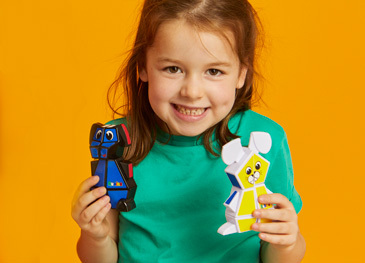 Maybe you soon could achieve the fastest Rubik’s Cube time ever and be crowned the King or Queen of Cubing? The current record held for the fastest solve of the Rubik’s Cube is currently 3.47 seconds by Yusheng Du, who beat the record of Feliks Zemdegs by 0.75 seconds. A robot, however, has solved the Rubik’s Cube this year in an incredible 0.38 seconds!! Speedcubers do not just stop at rapidly solving the traditional Cube with their hands….Feliks also holds the record for the fastest one-handed solve of 6.88 seconds, and Jakub Kipa from Poland solves the Cube with his feet in an impressive 20.57 seconds! Competitions are held globally ranging from small localised events to larger opens. European champs leading up to an ultimate world championship every two years where thousands of cubers fly in to try and beat their personal best time, and be crowned the new world record holder or current world champion. In 2017 the Rubik’s World Championships were held in Paris where Max Park from the USA was crowned champion! And new for 2018 was the introduction to the Red Bull Rubik’s World Cup! Red Bull joined forces with Rubik’s Brand Ltd to give wings to the global speedcubing phenomena. Speedcubing already draws outstanding media attention and the involvement of RedBull will only serve to fuel the power and reach wider audiences to encourage more budding Cubers to compete. The 2018 Red Bull Rubik’s Cube World Cup is a new, global competition designed to challenge and stretch even the most accomplished Rubik’s Cube players in one of the most exhilarating emerging sports. It is part of Red Bull Mind Gamers, a platform of exciting, innovative challenges and events staged around the world designed to allow both teams and individuals to prove their mental powers in a range of problem-solving scenarios. The first event was a culmination of qualifiers held in 12 countries over six months and awarded first, second and third place prizes in three head-to-head game modes: Speed Cubing, Fastest Hand, Re-Scramble and a first-ever Women-Only track. Australia’s Zemdegs flew the furthest from home and scored the tournament’s only sub-five second en route to claiming victory over Canada’s Bill Wang. Read our blog article here for more details about the Red Bull Rubik's World Championship event.